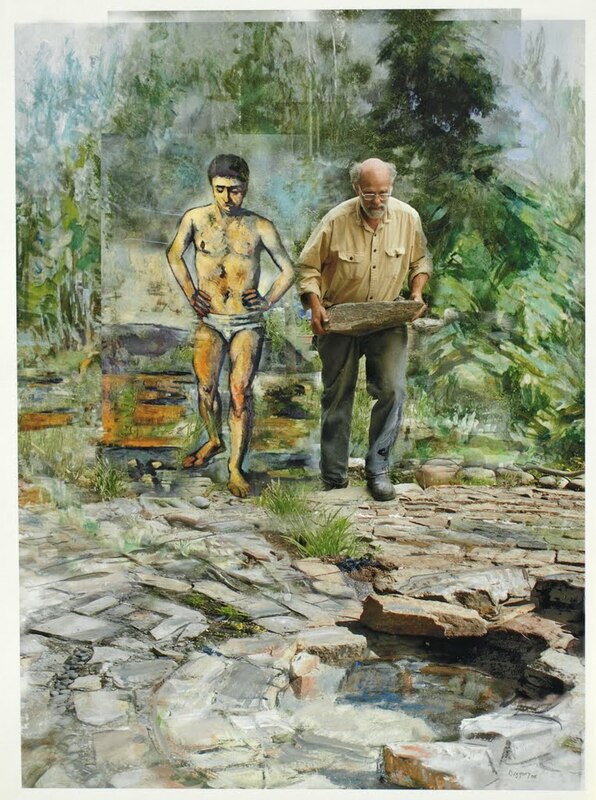 This work uses what is often called “appropriation,” or re-using material created by someone else, in this case Cézanne, one of my favorite artists. 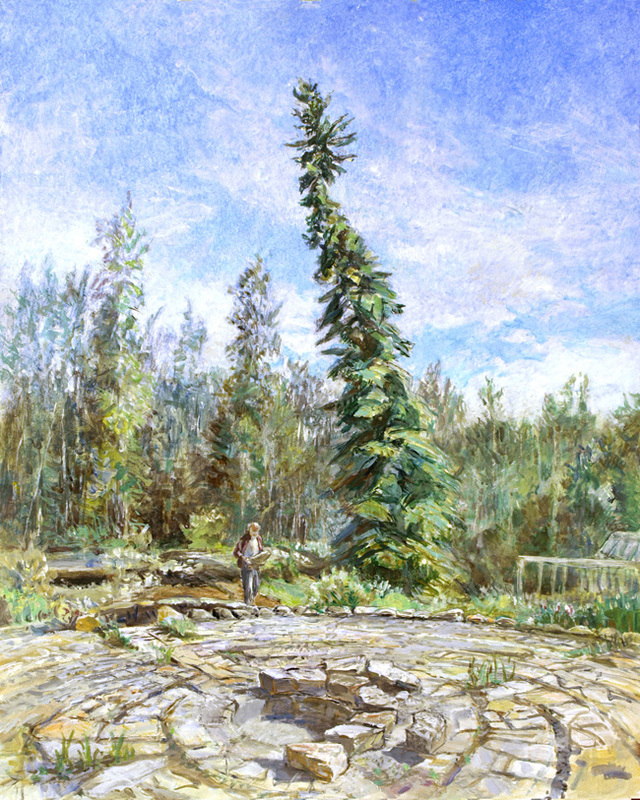 I had wanted to do a piece about my brother Steve, who was working on the final central part of his stone labyrinth at the same time that I was painting the labyrinth in the context of his property in Fairbanks, Alaska. 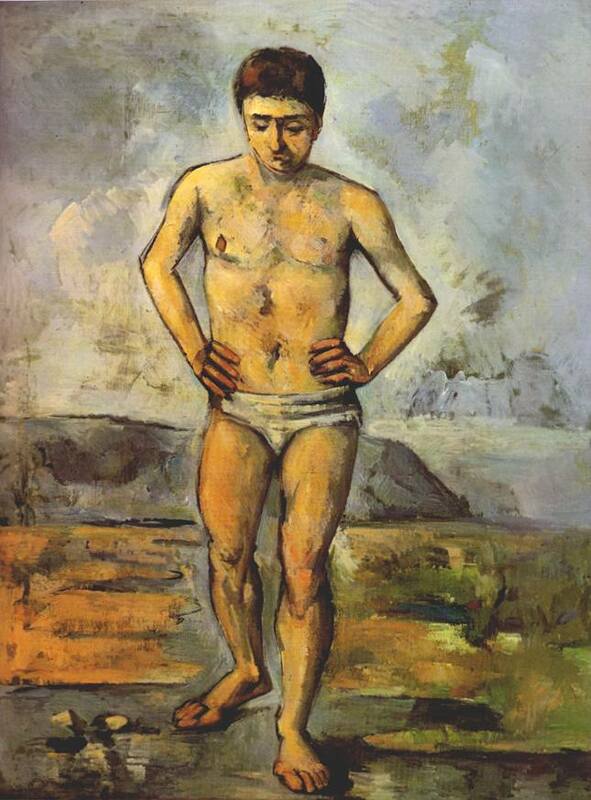 I have always thought of Cézanne’s figure as pausing between thought and action, caught between abstraction and physicality, almost stepping from art into the real world. 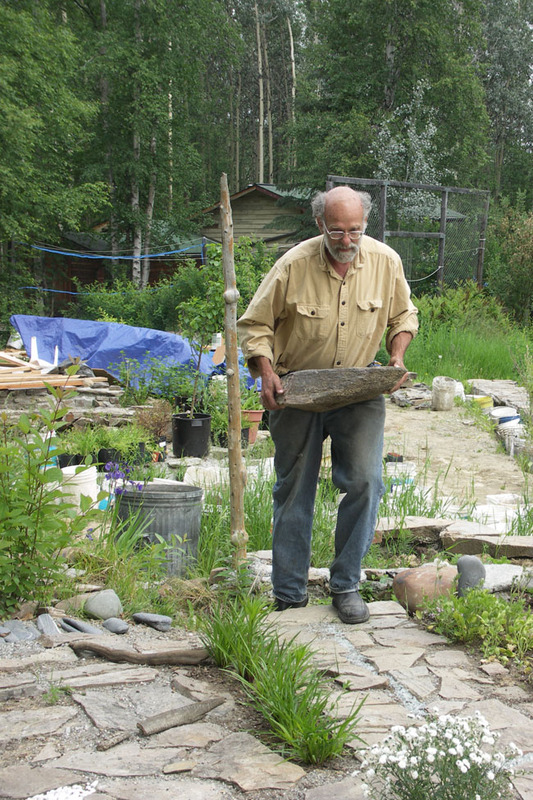 I saw my brother as doing the opposite, stepping out of the everyday world into art as he built things with heavy stones as a way of coping creatively with the heaviness of recovering from a heart attack. I realized later when I paired the two figures that it was wonderful that Steve’s shirt echoed the flesh tones.